This is the artist’s second London solo exhibition. Her works are a hybrid of everyday ‘stuff in the room’ that show signs of wear and use and which she reinterprets into sculptural forms layered with different meanings. There are also paintings where she uses re-stretched canvases to create works on the unprimed surface using paints, inks and collage to achieve the effect she desires. 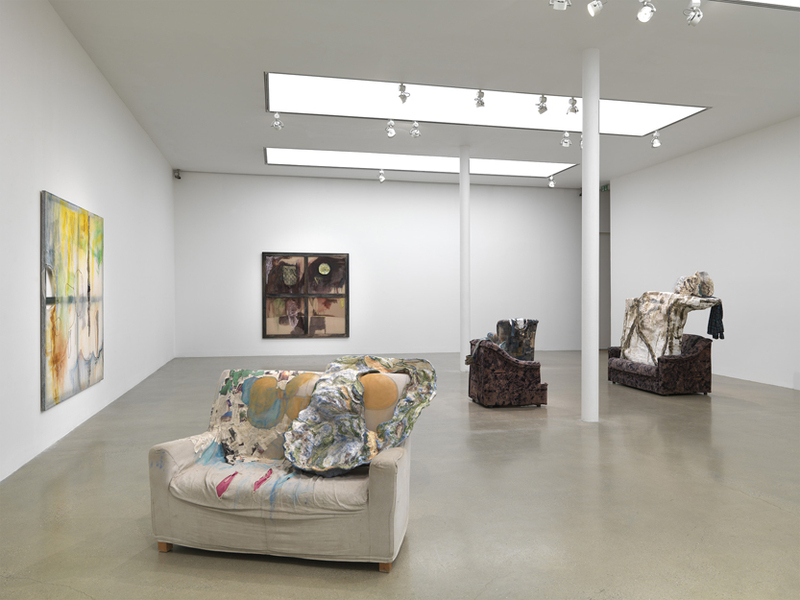 Installation view Lisson Gallery, London 2014. 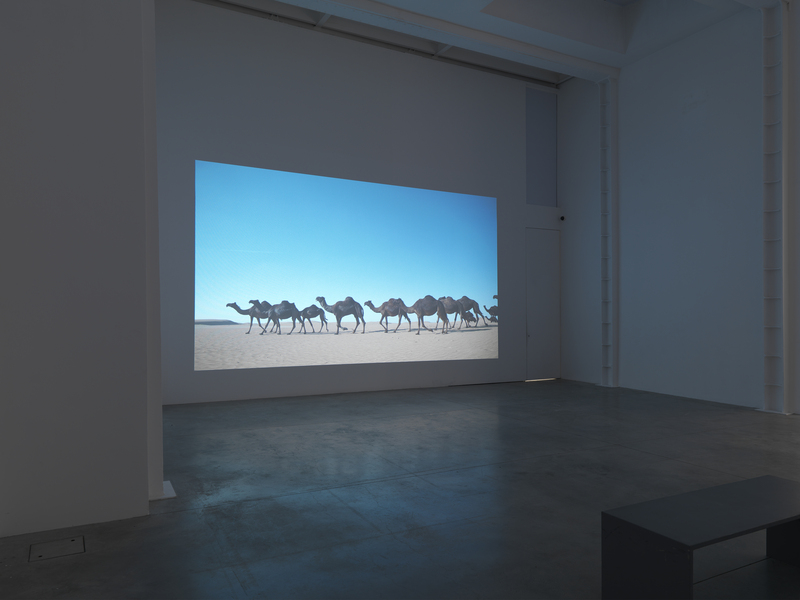 The Egyptian-born artist Wael Shawky is a strong and compelling artistic voice who uses modern media to look at beliefs, faith, history and myths whether it be a herd of the highly prized black camels being driven across the desert or a sound piece recalling holy text. There is also a group of new drawings and wall vitrines of metal plaques, of the type found adorning trucks and food carts in Pakistan. There is certainly an element of humour in the German artist Christian Jankowski’s new show that is the result of his visit to Warsaw last year. He asked a group of weightlifters to try and lift up a number of the city’s massive public sculptures. The ensuing results are seen through a 25 minute film, an installation and photographs. At one level it is a look at the whole idea of public sculpture and where it is displayed but it also a reflection of Poland’s past history – Nazi occupation and the Communist era. Thought provoking and a stimulant for debate. This entry was posted in Contemporary Art, Decorative Arts, Fine Art, Photography, Sculpture, Visual Arts, Works of Art and tagged 20th Century Design, contemporary art, Fine art, Sculpture, Visual Arts. ← The Works on Paper Fair, The Science Museum, 6th – 9th February.